The Steel brackets are fully engineered, and is also comprising of a custom profile weather strip. 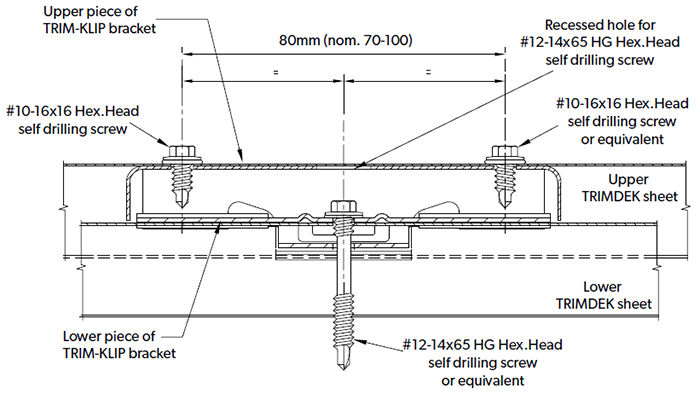 The brackets are sandwiched between the ribs of the overlapping sheets and are then fixed down using the standard screw fasteners. Allows roofers to maintain long, clean roof lines. Provides a cost effective solution where a roof design with long lengths is required. Provides a fast and easy solution.